The company is using Qubit's personalisation platform Qubit Pro along with its AI-powered mobile discovery solution, Qubit Aura. 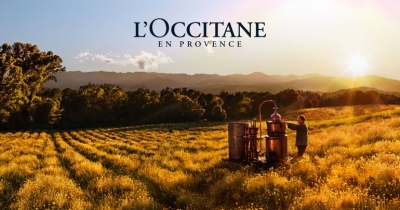 L’Occitane has launched various personalisation initiatives to maximise impact across its web properties with Qubit contributing to significant increases in revenue per visit (RPV), revenue per customer (RPC), and mobile conversions. The L’Occitane global ecommerce team started using Qubit Pro, a behavioral data-based personalisation platform delivering targeted experiences at scale, to collaborate and share best practices across multiple domains and locations, from Japan to Brazil andLondon to Australia. Among the techniques used, social proof, which informs shoppers of how other shoppers are behaving in similar customer journeys, exhibited 2.86% uplift in RPV and 3.55% uplift in RPC in the UK while strategies to save the customer before site abandonment resulted in 2.65% uplift in the US. As more shoppers engaged on the mobile channel to discover and purchase the brand's catalogue of products, L'Occitane deployed Qubit Aura, which sits on the brand's existing mobile website and, through AI-powered personalisation, changes the products a user sees based on their behavior in a social newsfeed type experience. The brand's UK ecommerce team reported 159% increase in mobile conversion rate as a result of Qubit Aura.